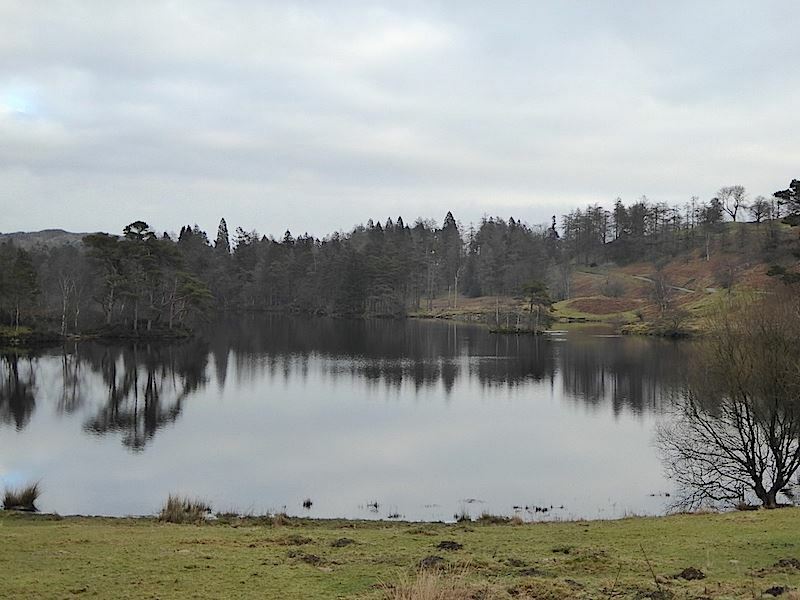 We left home in sunshine and blue skies, but by the time we reached the lay-by at Yew Tree Tarn we were in overcast gloom and not a trace of blue sky to be seen. 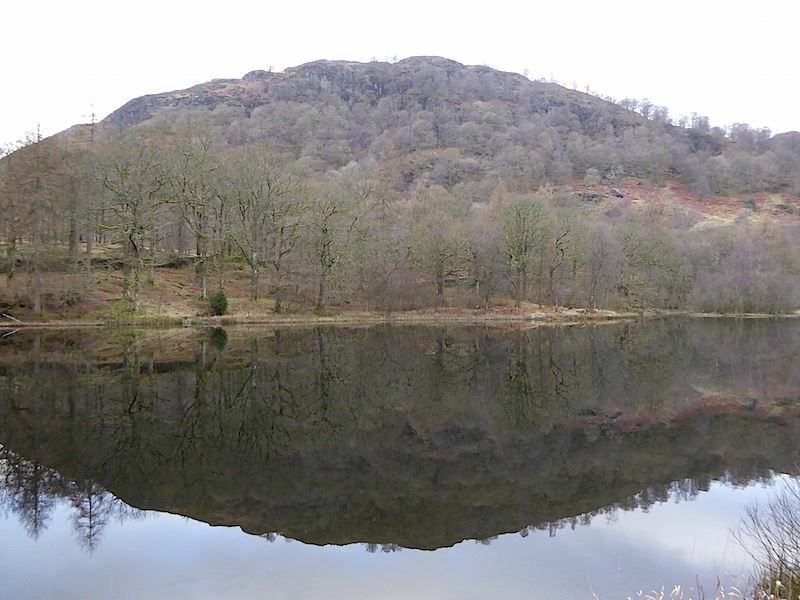 From the lay-by I took this shot of Holme Fell across Yew Tree Tarn. 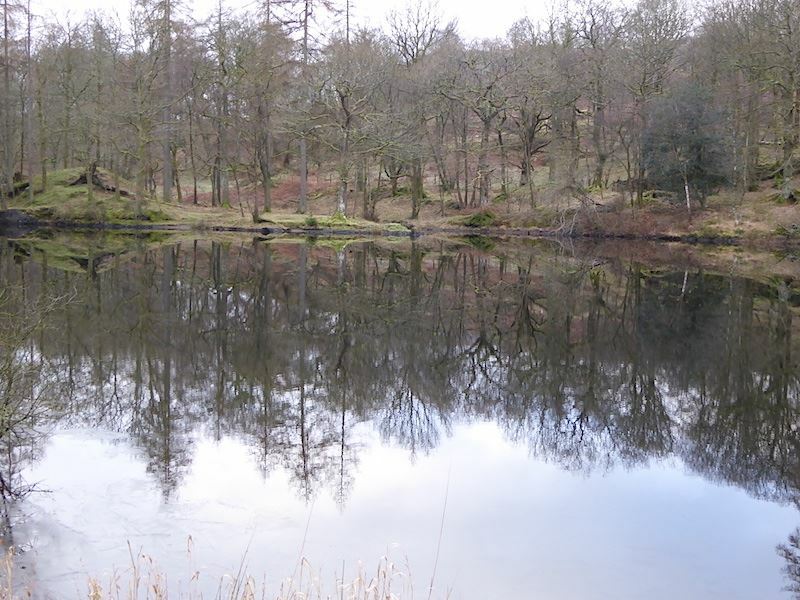 Looking towards the dam end of Yew Tree Tarn where everything was very quiet and still. 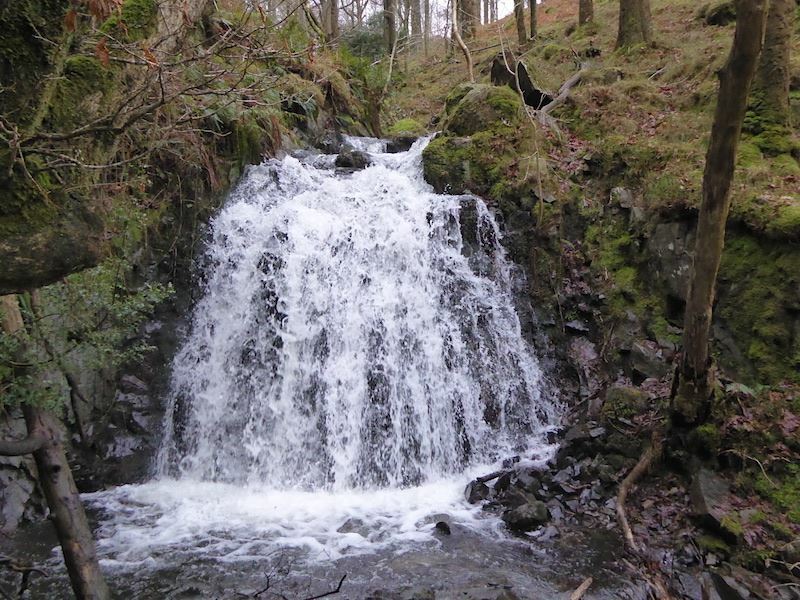 We took the path alongside Tom Gill to walk up to Tarn Hows, here’s a close up of one of the waterfalls along the way. 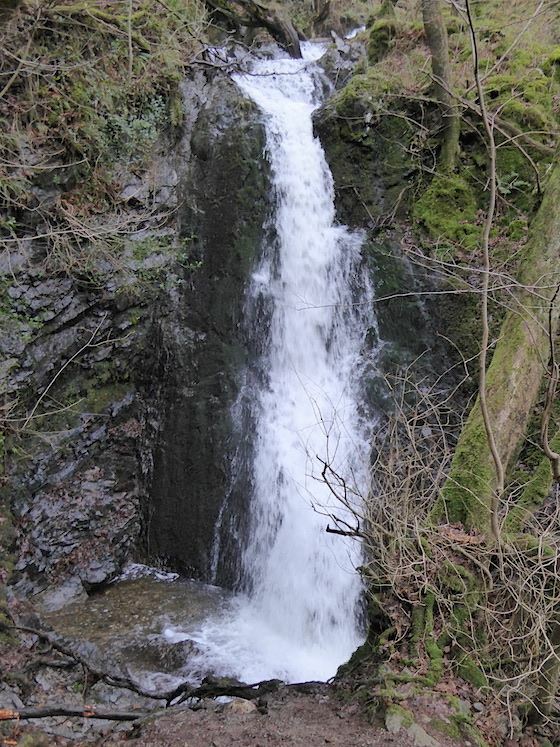 From the top of the same waterfall a view down Tom Gill. Another waterfall higher up the path. 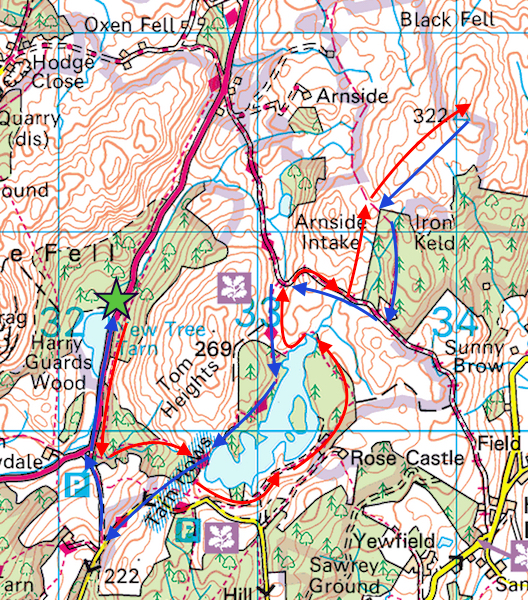 Its a great little walk alongside here up to Tarn Hows with plenty of interest along the way. 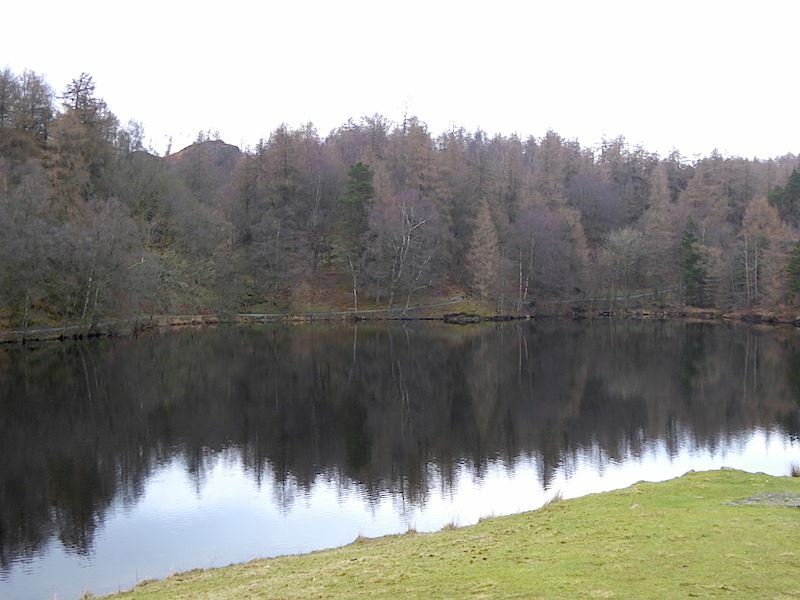 When you reach the top of Tom Gill you arrive at Tarn Hows which looked rather sombre today. 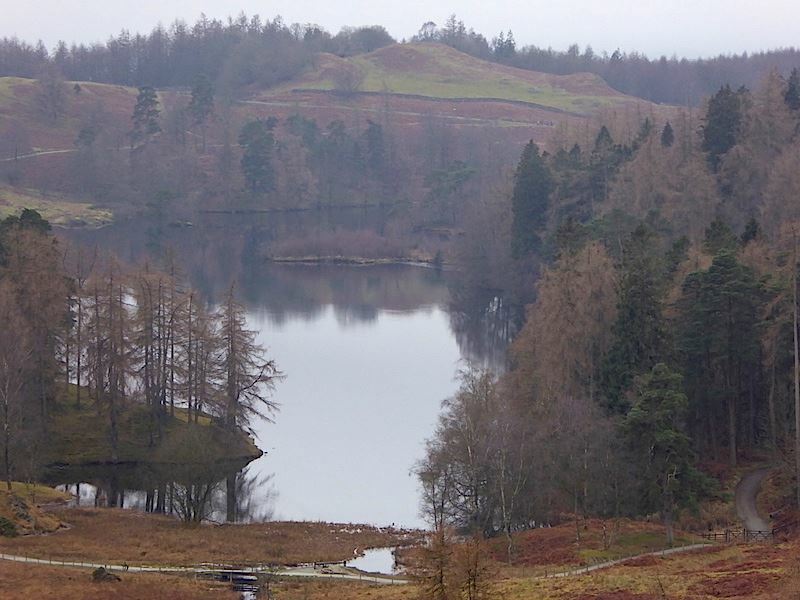 Not a lot of colour at Tarn Hows today so I didn’t take any more photos. The walk around the tarn was very pleasant though, hardly anyone around so it was very peaceful. In summer it would be crowded with people as it is a very popular place to visit. Looking back at Tarn Hows as we continue the walk. We took a slightly different route than usual just to ring the changes and get some different views. 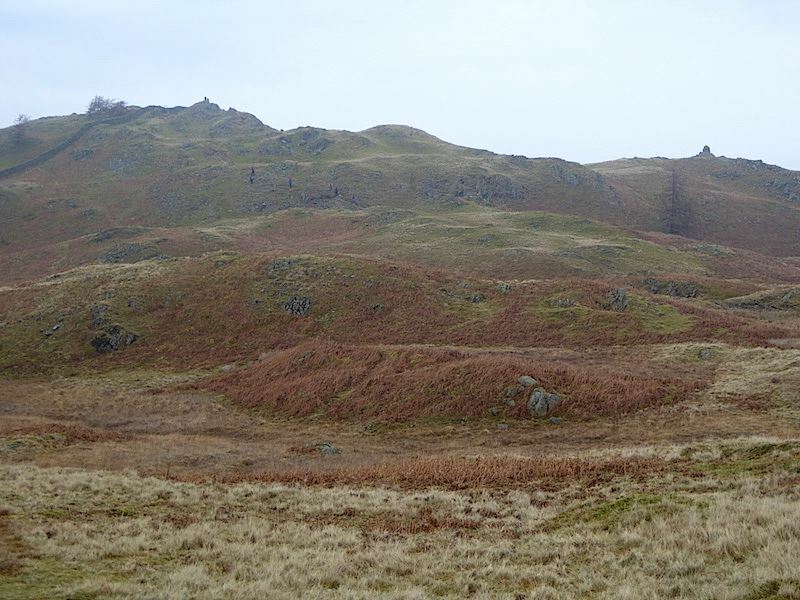 Looking across to Black Fell summit which is on the left, with its lower cairn over on the right. 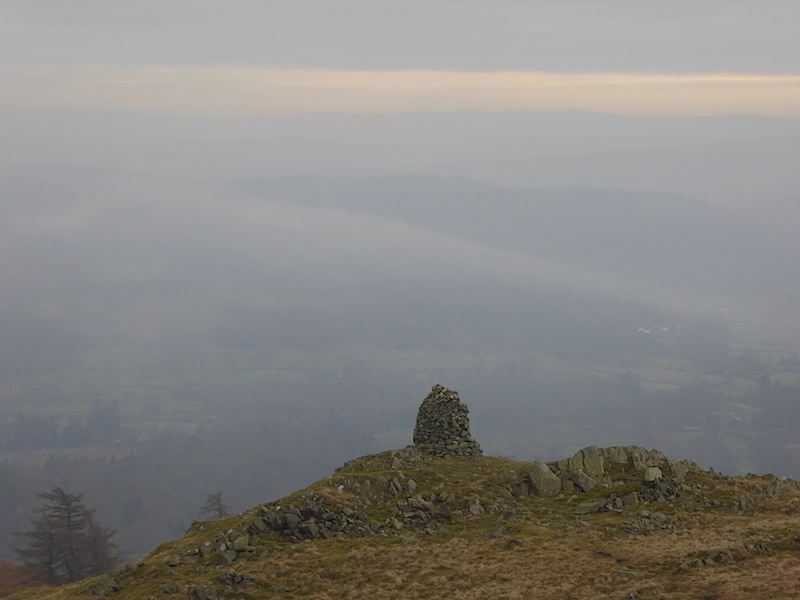 From the summit of Black Fell, a close up of the lower cairn and a distinct absence of view in any direction. 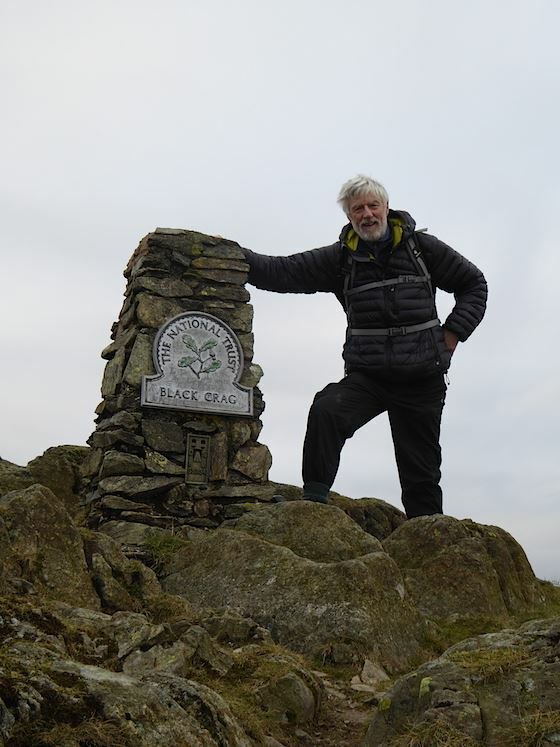 The trig point on Black Fell, the summit of which is called Black Crag. It was at this point that the camera decided to throw a wobbly, and the zoom control on the camera stopped working. The lack of the zoom didn’t really matter all that much as there wasn’t anything much by way of views, fell tops shrouded in cloud and the visibility was poor, not at all what the forecast had promised so all in all a bit unsatisfactory. What did concern me was the fact that the camera had only been bought three months previously and the thought of having to return it under the guarantee and getting it fixed was something I wasn’t looking forward to at all. As things turned out I didn’t need to, back at home I found that the setting control dial had shifted slightly, probably as I took it out of its case, and this had somehow prevented the zoom function from working. Sighs of relief all round. 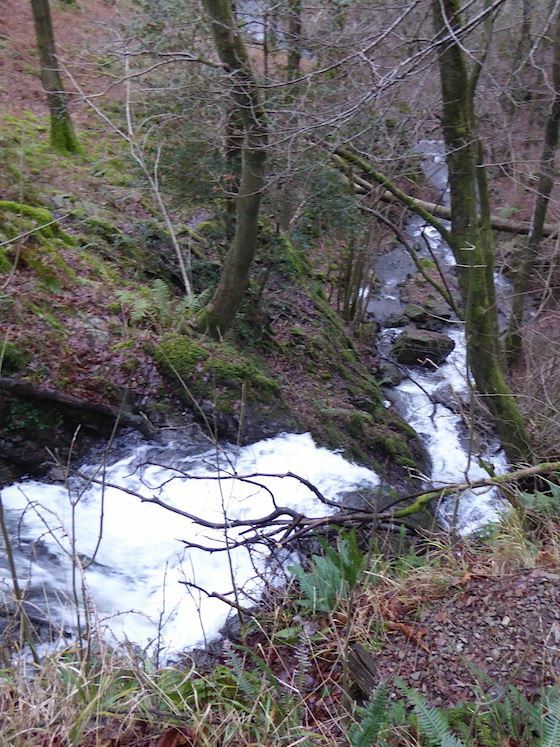 So the first walk of 2015 turned out to be not very satisfactory thanks to a miserable grey day and what was thought to be a busted camera. Let’s hope the rest of 2015’s walks turn out better than this one.